Kathmandu, Capital city of Nepal.Kathmandu is famous as a city of Temples.You can see more then 2000 years old temples and Stupas in Kathmandu with its own preserved architect and art.Kathmandu is a house of Newar people with rich culture, tradition and festivals. 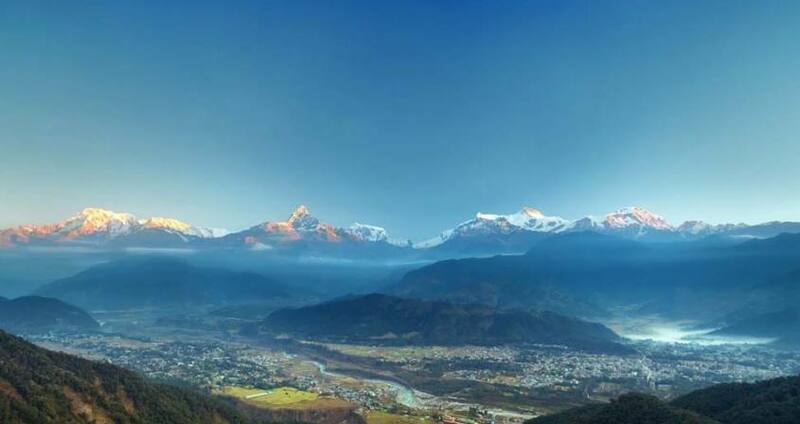 Pokhara is a beautiful city of Nepal is known as city of Lakes.From where you can see the panaromic view of several Mountains. Water falls and cave and local thrilling bride and white water river. Chitwan is a house of Tharu people and wild animals.You can do jungle safari in Nepal's first National park. Insightful tours to UNESCO World Heritage Sites in Kathmandu, exotic Pokhara and to the wilderness of Chitwan National Park; this trip promises a wonderful blend of culture and high adventure that Nepal has to offer. Day 01:Arrival in Kathmandu.Meet with representative of Pink Mountain Treks and Expedition. Overnight at hotel In kathmandu. Day 02:After breakfast proceed to Sightseeing tour in Kathmandu , including Pashupatinath Temple, Boudhanath Stupa, Swatambhunath Stupa and Kathmandu Durbar Square. Day 03:Fly to Pokhara; Overnight at Hotel. Day 05:Drive to Chitwan via private a/c car; Overnight at Hotel. Day 1Arrival in Kathmandu.Meet with representative of Pink Mountain Treks and Expedition. Overnight at hotel In kathmandu. Day 2After breakfast proceed to Sightseeing tour in Kathmandu , including Pashupatinath Temple, Boudhanath Stupa, Swatambhunath Stupa and Kathmandu Durbar Square.Kathmandu, the historical and cultural city of Nepal, has been a popular destination for tourists ever since Nepal opened its doors to visitors from the sixtieth decade. 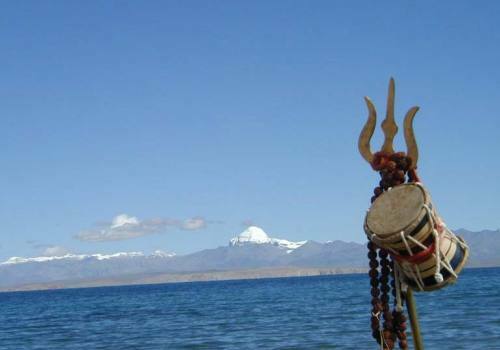 The city presents a wonderful mix of Hinduism, Tibetan Buddhism and western influence. There will be a half day guided tour to the UNESCO World heritage Sites of the holy Hindu shrine of Pashupatinath, Boudhanath - the largest Buddhist stupa in Nepal, the 'monkey temple' of Swoyambhunath and the medieval palace of the Malla Kings at the Kathmandu Durbar Square. Day 3Fly to Pokhara; Overnight at Hotel.You take a 30 minutes flight to Pokhara. On reaching Pokhara, you will be escorted to the Fulbari Resort & Spa, one of the best resorts in South Asia. From the resort you get wonderful views of Himalayas. Day 4AM - Heli tour to Annapurna Base Camp/Afternoon sightseeing in Pokhara and boating on Fewa LakeFrom Pokhara Airport, you take an exciting helicopter ride to Annapurna Base Camp (4130m), one of the most famous trekking destinations in the world. The flight offers panoramic views of the Annapurnas, Machhapuchhare (Fishtail) Peak and Hiunchuli. As you leave Pokhara, the valley's lakes, namely Begnas, Rupa and Phewa, look like jewels from up above. The approach to Annapurna Base Camp opens up with a spectacular view of the Annapurna Sanctuary-a high glacial basin flanked by the snowy peaks of Annapurna I, II, III and IV and the fish tail spire of Machhapuchhare. After landing at the Annapurna Base Camp, you will be given ample time to take pictures and explore a bit, before the return flight. Afternoon activities include boating at the Phewa Lake, visit to Davis Fall, Bindyabasini Temple and Mahendra Gupha (cave). Day 5Drive to Chitwan via private a/c car; Overnight at Hotel.Your car will bring you to Chitwan National Park, a UNESCO Natural Heritage site. The park offers a unique and exceptional wildlife experience, being the home to several rare species, in particular, the one-horned rhinoceros, Royal Bengal tiger, bear, wild boar, deer, bison, crocodiles etc. Overnight at the Tiger Tops Jungle Lodge. Established in the early 60s for wildlife enthusiasts, Tiger Tops Jungle Lodge is one of the oldest commercial jungle lodges in Nepal. The lodge practices environmentally responsible and sustainable tourism. Day 6Jungle activities at Chitwan National ParkSurrender to the pure pleasure of jungle activities! Safari excursion includes elephant safari, canoeing and bird watching. Unlike African animals, those in Chitwan tend to be rather solitary and shy. But our expert guides knows how to track these elusive creatures and you can enjoy a glimpse or two of some of these endangered animals. Today we continue to explore the park in jeep, looking for rhinos, tigers, elephants, wild boars and the masses of beautiful birds living here. In the evening we enjoy a Tharu cultural program. We stay the night at the lodge. Day 7Drive to Bharatpur; Fly to Kathmandu; Overnight at Gokarna Forest Resort After your wildlife adventure, you will be escorted to Bharatpur airport to catch a flight to Kathmandu. On reaching Kathmandu, you can spend the day at leisure. Day 8Depart Kathmandu Our driver and representative will drive you to the airport in time for your flight back home.